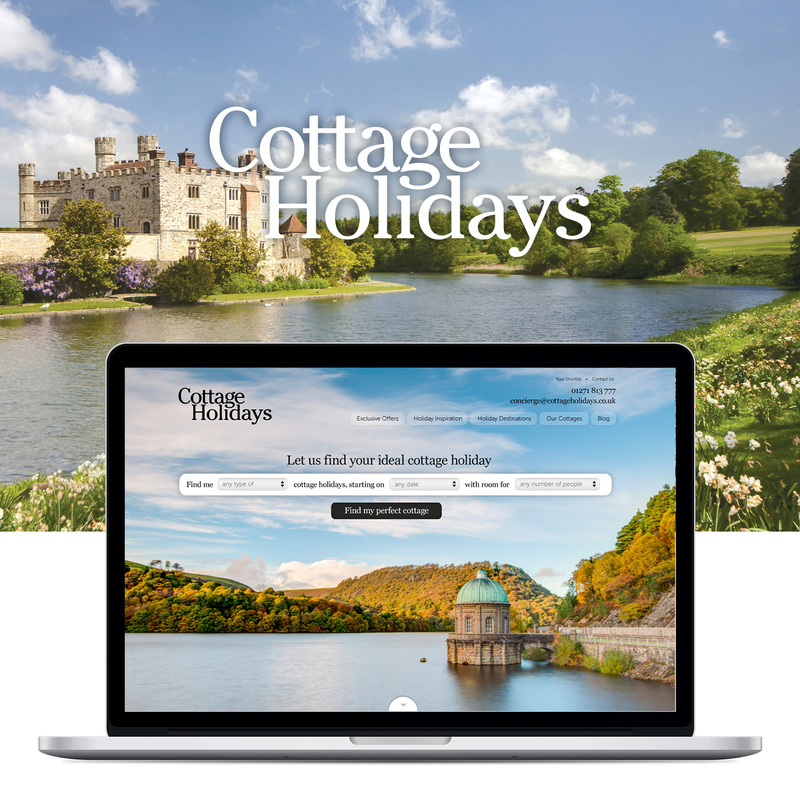 With a strong network of regional cottage rental brands around the UK, our client The Original Cottage Company wanted to ensure that it could also maximise sales of non-location-specific bookings: last-minute or impromptu sales to people seeking types and sizes of accommodation, and potential activities, as opposed to prioritising specific destinations. To achieve the objective we created a single website which tapped into the cottage listings of the regional operations and worked around the concept of a concierge service: a conversational, human-feeling approach to an essentially search-led site. People could choose either where they preferred to stay, or what type of holiday they enjoyed (active, couples, with the dog, etc. ), or size and type of accommodation: and the website presented the range of cottages available, which could then be filtered with over 30 further options. 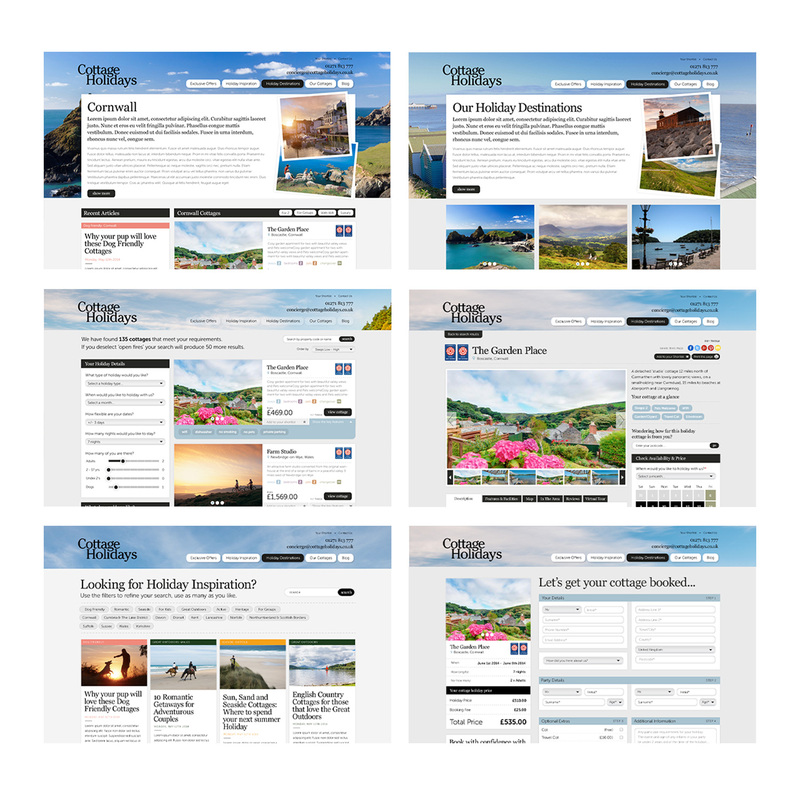 As well as pulling in data from all the regional brands, we populated the website before launch with over 150 pieces of original content to increase search presence and promote self-catering UK holidays in general. 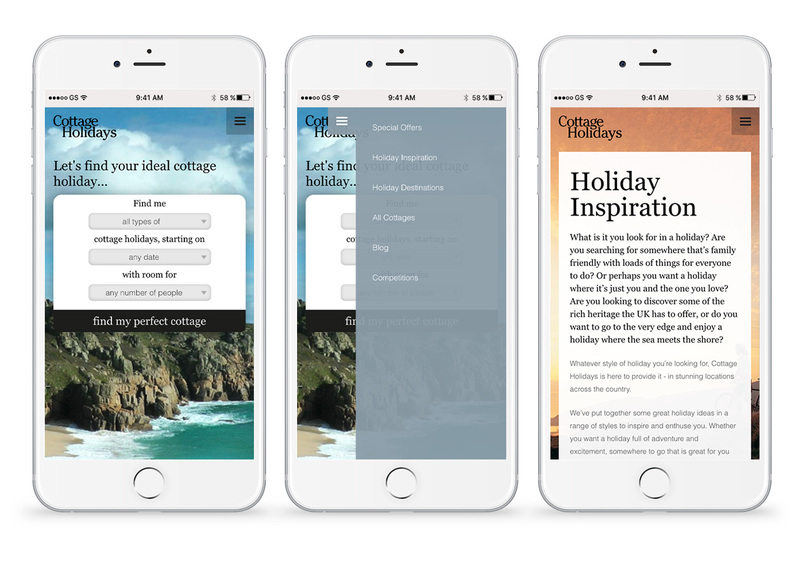 Our research revealed that people found out about holidays on their mobile devices, and went on to actually make their bookings via desktop/laptop. To remove any disconnect between the two parts of the process, we added a feature allowing mobile searchers to reserve their stay using their phone or tablet and then immediately find it again on the desktop/laptop to make the booking. We also made design changes from the desktop site, leading with strong imagery and large icons for ease of use on smaller screens. The success of the initial project led to Spring designing and building a further 14 websites for the company’s regional operations. Our client has never looked back, this key digital project providing a launch-pad for continued growth and acquisition of numerous other regional/local rental operators.